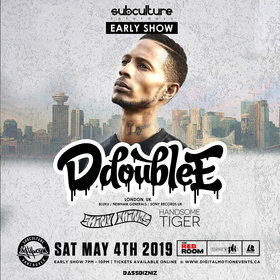 Digital Motion + Bassbizniz proudly present SUBculture Saturdays May 4th (PART 1) - EARLY SHOW featuring UK Grime pioneer D Double E LIVE IN CONCERT. 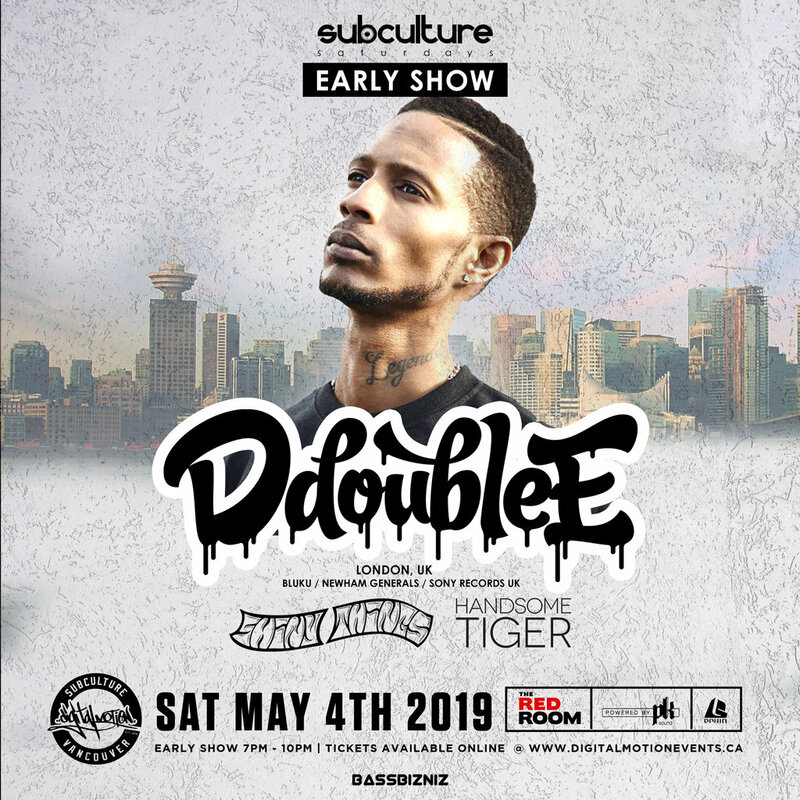 After a fantastic live performance at The Red Room and Shambhala Music Festival in 2018, we're thrilled to bring D Double E back for another intimate performance! With music from SHINY THINGS MUSIC & Handsome Tiger to get us warmed up! >> Doors at 7:00pm - EARLY SHOW, ENDS AT 10PM.